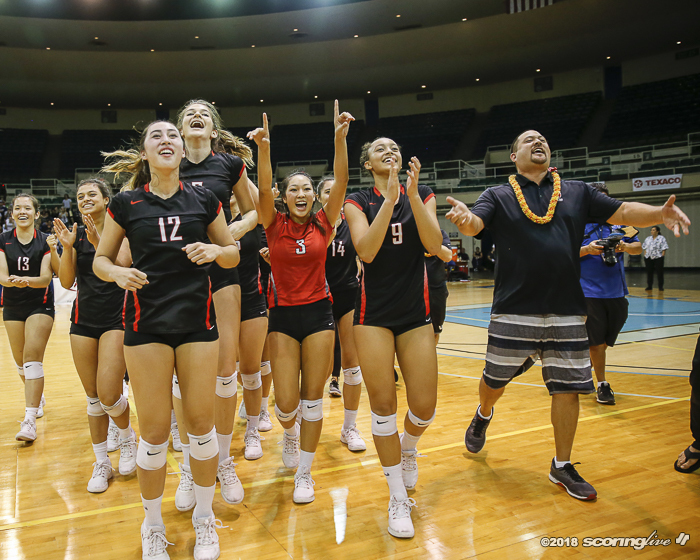 Virtually all season long, the Iolani girls volleyball team took their lumps from Interscholastic League of Honolulu rival Kamehameha. The Warriors took five of six matches from the Raiders in league play, including a pair of sweeps. Despite the rather one-sided track record, the Raiders closed the gap over the course of the year, which culminated Saturday night with a sweep of the Warriors in the title match of the New City Nissan Division I State Championships at the Neal S. Blaisdell Center Arena. "I'm happy we got to win. 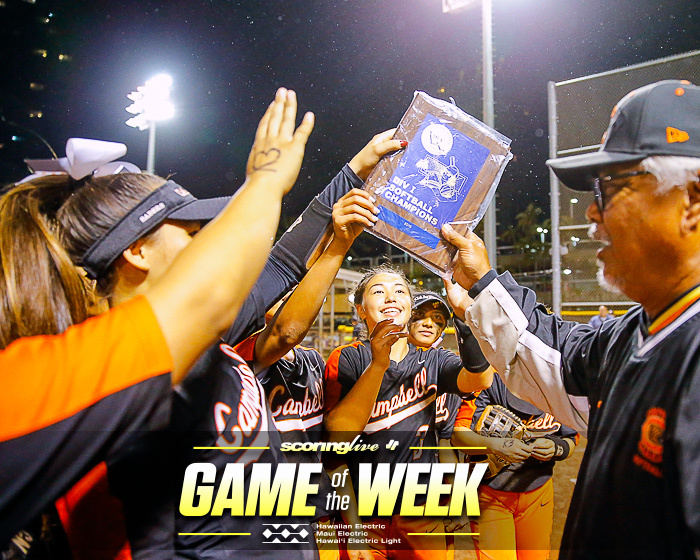 I'm proud of our kids, proud to represent the Iolani community in this fashion and we're just excited to come out with the win," Raiders coach Kainoa Obrey said. 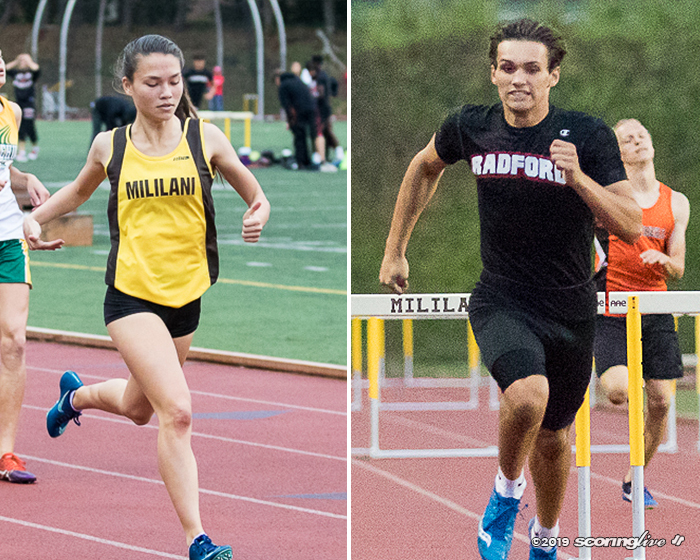 What spurred Iolani Saturday night? Well, for starters, 28 kills from superstar outside hitter Elena Oglivie. Her success, however, was heavily reliant on the steadiness of setter Kristen McDaniel, who, of course, relied on accurate passing on first touches, namely from libero Grace Wee and backrow specialist Becca Sakoda — who combined for 35 of their team's 59 digs against Kamehameha. Obrey spoke glowingly about Wee and Sakoda and the roles changes they have undergone this season. Wee moved into the starting libero position after an injury to fellow-senior Naya Dong, which consequently slid Sakoda into Wee's defensive specialist role. "It's been crazy. I credit it so much to my best friend, Naya Dong, who was in that libero position before me and she set such a great example and I think just transitioning in was a lot easier with all of my teammates encouraging me, the coaching staff, everyone just pushing me to playing that role," said Wee, who recorded a match-high 20 digs and was a perfect 21 for 21 on serve-receive opportunities. Oglivie's 28 kills were three shy of her season-high. She racked up kills from both the left and right sides, out of the back row and even out of the middle. She hit shots down the line, through the seam, cut shots and tooled the Kamehameha block effectively to keep it guessing. "With her swing she's able to change up some things. We didn't execute as well as we needed to. To be honest, we were right there where we needed to be in the end game, we just weren't able to execute and a lot of it was because of what they did," Warriors coach Chris Blake said. 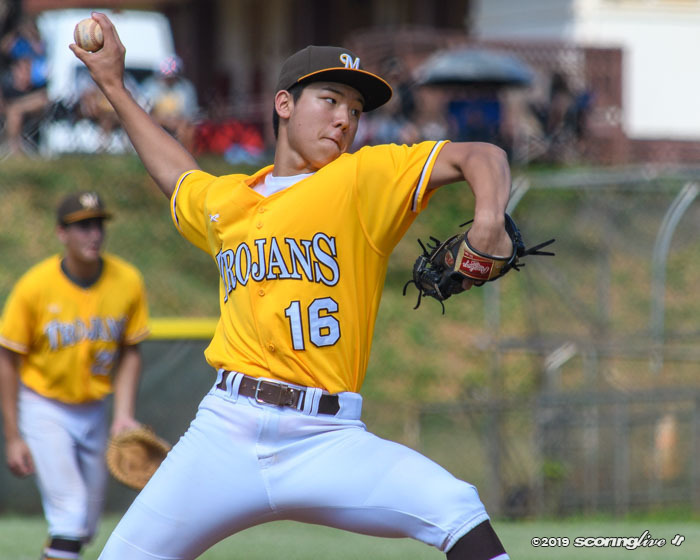 The Raiders put together numerous runs in Saturday's sweep of Kamehameha. In the opening set, they went on a 9-1 run to turn a 16-15 deficit into a 24-17 lead before going on to win, 25-23. In game 2, they jumped ahead with an early 7-1 run and closed it out with a pair of 4-0 mini-runs en route to a 25-21 set score. Finally, they blew open game 3, which was tied at 7, with an 8-0 run and pulled away with a 25-18 win. "It's rare, extremely rare," Obrey said of the runs against a team the caliber of the Warriors. "I think that's a lot to do with our serving. We put them in tough spots and we were able to defend. I mean, they ran a lot of middle in that one portion, but overall they ran a lot of outside and we're able to defend the outside a little bit easier than we can their middles, so we're fortunate to have that happen for us," Obrey said. Blake gave credit to the Raiders, despite his team playing far from its best match of the season. "No, but a lot of it was we didn't do the things we needed to do to come out on top and I don't want to take away anything from Iolani and what their coaching staff and players did, they came out hungry and they definitely came out with the W," Blake said, whose team hit a mere .165 for the match to Iolani's .268 and were outblocked, 8-2. The Raiders were playing their fourth match in six days, while the Warriors were playing their third match in as many days. "Honestly, I was a little tired, but the adrenaline kicked in and I was good," said Oglivie, a 5-foot-11 junior, who was selected as the tournament's Most Outstanding Player. 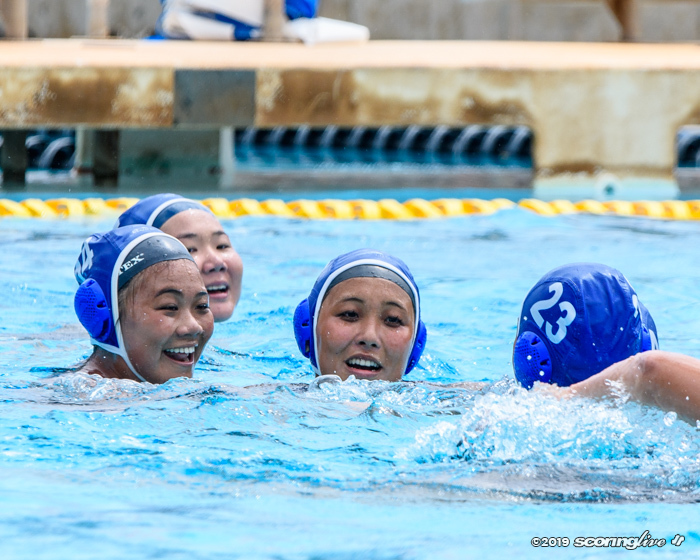 It was Iolani's second state crown. The other came just two years ago — also against Kamehameha — when Oglivie was a freshman. 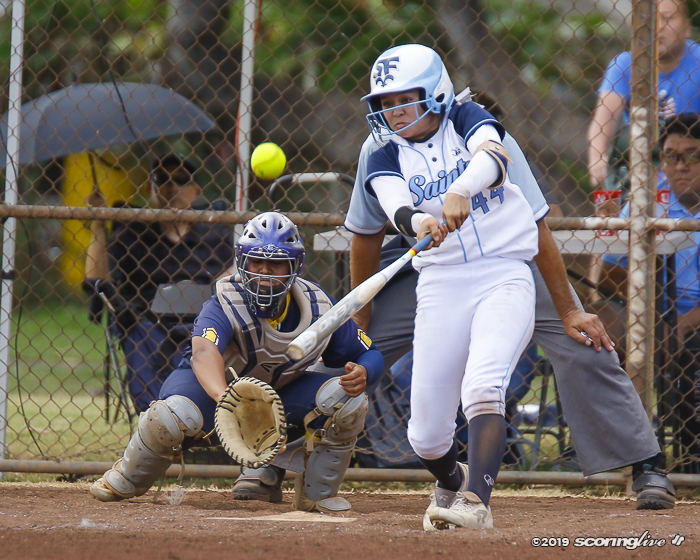 It was also the fourth straight state final that pitted the two ILH rivals against each other. The Warriors swept past the Raiders in last year's state championship match. That defeat was all the motivation that Oglivie and company needed. "I want to say that a lot of the core players from last year are still here and we knew that feeling of losing and we didn't want to feel that again. 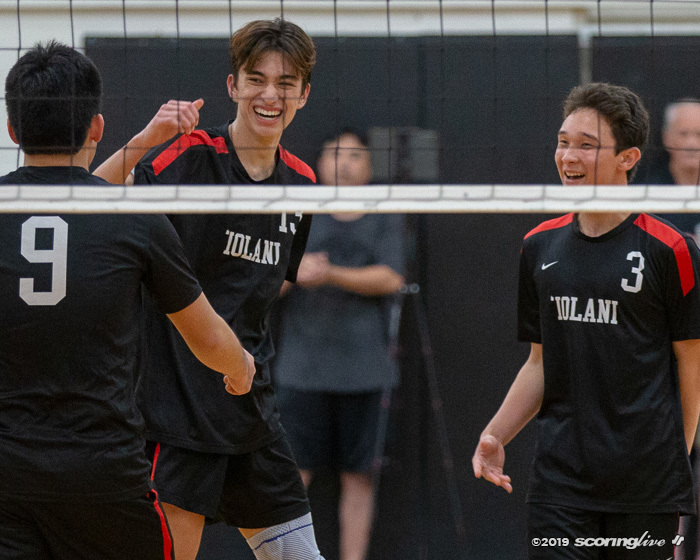 We wanted to win, we wanted to win for everyone, for Raider nation, for our coaches, for all of our teammates and for the whole Iolani community," Oglivie said. "We wanted it."